Okay... so now that I'm looking at this polish, I'm honestly wondering if it's a dupe for OPI's Pamplona Purple. I'll have to double check, but I'm thinking if not dupes, they're very close. 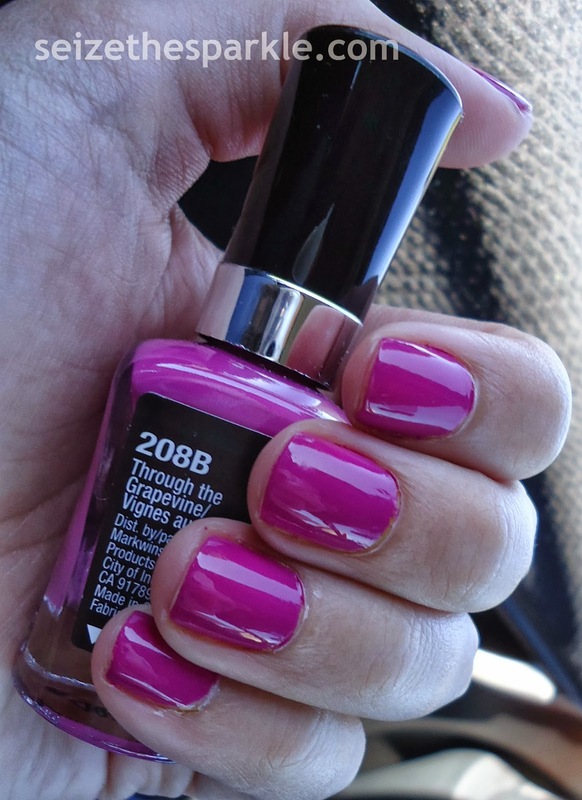 Budding Romance was starting to look a bit worn, but I still wanted a bright color on my nails. I know it's officially Fall and that's a bit backwards, but hakuna matata, right? Through the Grapevine is a mid-toned berry purple from Wet n Wild's core collection of megalast polish. You can find it at pretty much any drugstore... CVS, Rite-Aid, and Dollar General are just a few that come to mind. I'm pretty sure I picked mine up at CVS, because the bulk of my drugstore polish hails from there. What do you think of Through the Grapevine?